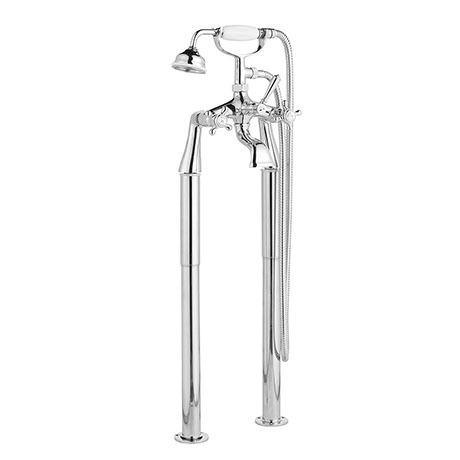 The Hudson Reed Jade Bath Shower Mixer with Extended Leg Set, Jade Crosshead offers increased practicality without compromising on style. The ceramic disc valve offers up to date technology whilst maintaining a traditional look. Extended leg set with adjustable shrouds to be used in conjunction with bath tap holes to go underneath the rim of the bath.